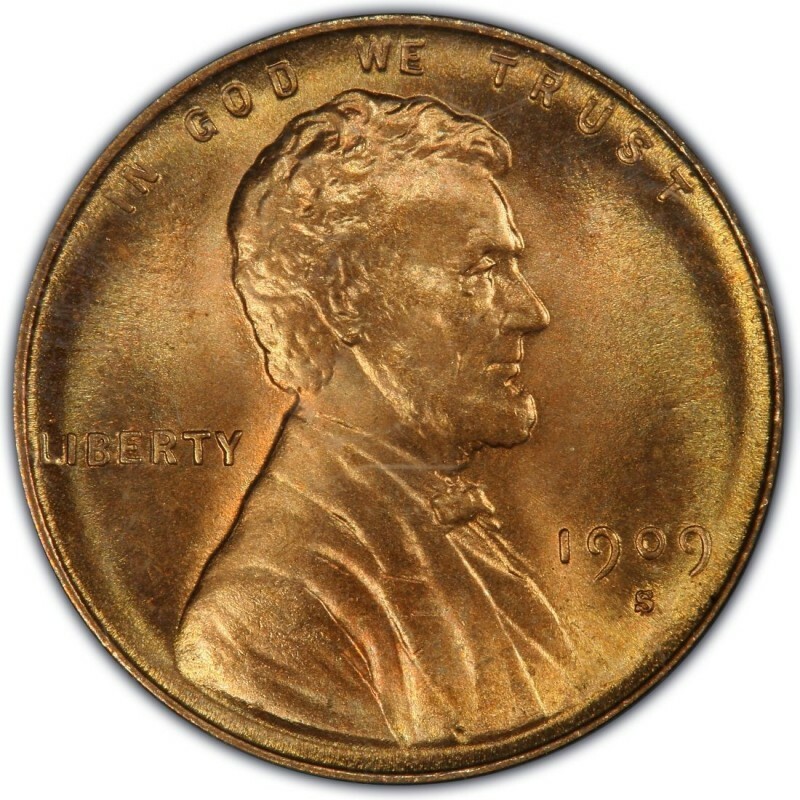 1909 was the first year that the Lincoln Wheat Penny was minted. Replacing Indian Head Pennies, which were minted from 1859 through 1909, Lincoln Pennies were welcomed by massive crowds that gathered at banks on August 2nd when the new one-cent coins arrived in commerce. While the coins were highly popular with the public from day one, there was initial outcry about the prominence of the initials of Victor David Brenner, the designer of the Lincoln Wheat Penny. His initials, VDB, are located on the reverse side near the rim and centered below the wheat stalks. The quick removal of the initials led to the creation of several varieties of Wheat Penny coins, which are discussed below. The first Wheat Penny coins in 1909 were minted at the Philadelphia and San Francisco Mints and were struck for a few weeks before the removal of the VDB initials. Because of the short period of time during which 1909 VDB Pennies were struck, there is a relatively small number of these coins in existence. There were 27,995,000 1909 VDB Lincoln Wheat Penny coins made and just 484,000 1909-S VDB Lincoln cents struck. 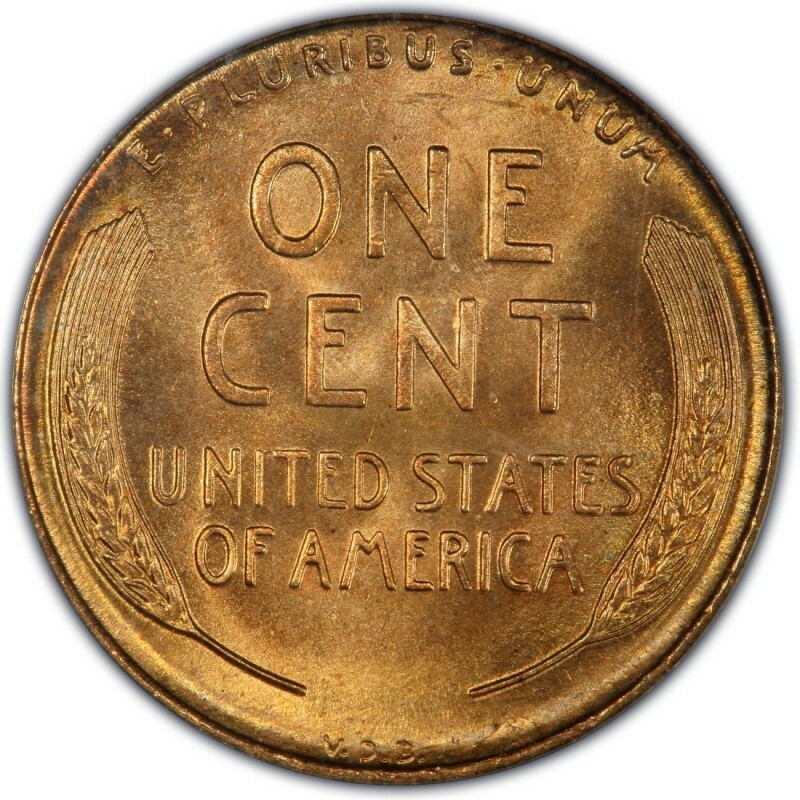 The latter coin is one with which you may be more familiar; given its very small original population, there are many times fewer 1909-S VDB coins available than coin collector demand requires, and therefore values on this scarce coin are higher than for any other regular-issue Lincoln cent. In fact, even the most highly worn 1909-S VDB Lincoln cents command a price of $600 to $800, with many in better grades selling for much more. The non-VDB Lincoln cents of 1909 – the 1909 and 1909-S – are also popular coins, though more than 72 million of non-VDB 1909 Pennies were struck. The 1909-S Lincoln Penny is a somewhat scarce coin (1,825,000 struck) that usually sells for between $100 and $200 in the lower worn grades. There is a noteworthy die variety among 1909-S (non-VDB) Pennies that incorporates a regular S mintmark over a horizontal S. These are worth approximately the same value as regular 1909-S Pennies. I’ve noticed that there isn’t a “worth” for the 1909 VDB Philadelphia penny. I have one but have no idea the value & would appreciate if you could let me know. Frankly i just like finding odd & old coins.